What is the Ten Percent Foundation? The Ten-Percent Foundation was set up in 2002 to distribute the donations Ten-Percent.co.uk Limited gives each year to charities. Ten-Percent.co.uk Limited owns a number of online businesses, including InterimLawyers.co.uk. We donate 10% of net profits each year to the Foundation, which is a registered Charitable Trust in the UK (reg no 1095812). For full details about the charity please click here. The company also campaigns on two issues concerning charitable giving. The first is to encourage other businesses to donate a percentage of their profits to charity every year, and the second is to highlight and campaign against excessive staff salaries in the charity sector. Full information about the Campaign can be found here. It is our business aim to ensure a healthy growth for the company and at the same time spend 10% of our income supporting charitable causes both here and overseas, usually in Africa. We try to find charities with specific projects we can follow up on, and prefer smaller sized charities to the large ones. We are also keen to support any small charities started by solicitors or related to the legal profession. 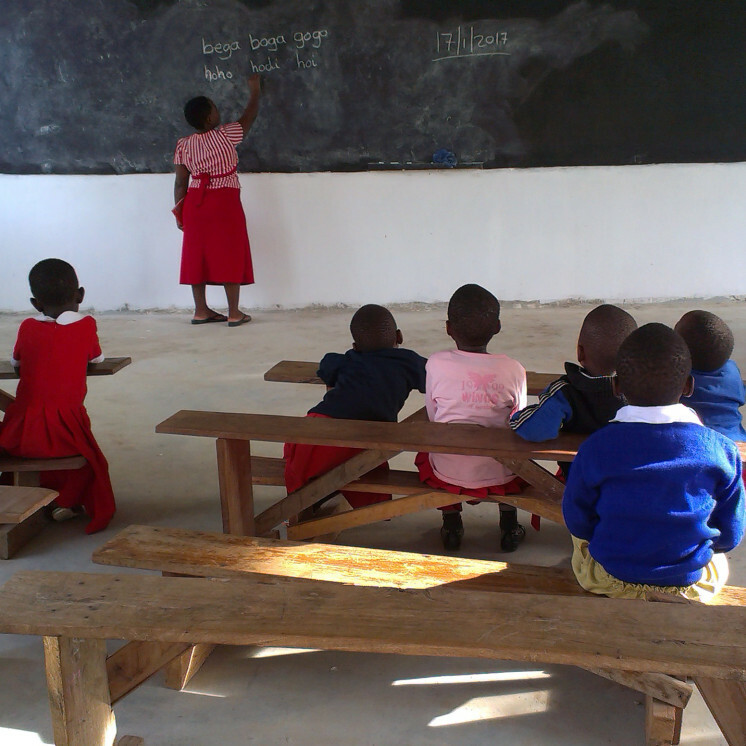 St Johns Seminary in Tanzania – the new primary school. We are supporting 4 students at the school from 2016-2020. The Ten-Percent Foundation is a charitable trust, registered with the Charities Commission, and operated by two trustees, one of whom is a director of Ten-Percent.co.uk Limited. As a matter of policy we will not donate to charities where the Chief Executive is paid more than £75,000. We believe that any charities able to afford salary levels higher than this are clearly not in need of charitable donations. We try and continue to support projects once we have started to donate money although our longer term programmes were unfortunately interrupted by the recession in 2008. The charity deals with a range of work that appeals to us. The charity has no ulterior motive – eg religious teachings or political leanings. The charity appears to do some good and does not just hoard money or spend it frivolously. The charity pays its staff a reasonable and not excessive level of remuneration. For us the level is £75,000 as an absolute maximum. We do not believe a charity, which by definition is dependent on donations and support from the general public, should be paying staff a higher salary than this level and we would only ever expect to see 1 or 2 members of staff on salaries of more than £60,000 in very large charities. Charities that support small tangible projects in Africa. Charities that deal with poverty and the effects of poverty in the UK. Specific support for the education of children in Africa. Support for stammering and in particular children affected by speech impediments. Support for people who have Parkinsons. Support for people who have had a stroke. Charities with links to the legal profession (we work in the legal sector). Charities dealing with victims (and perpetrators of) domestic violence. Charities dealing with youth work in areas particularly affected by poverty. Animal conservation – in particular third world conservation. Charities saving the rainforest by purchasing it. Local sports clubs and organisations. For details of our donations and further information about the Foundation and its work, please click here.